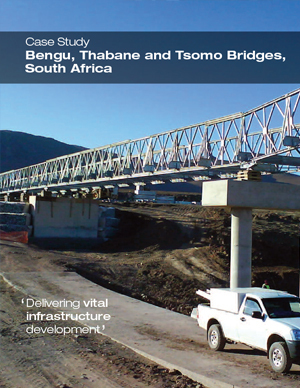 The compact bridge system uses standard, interchangeable steel components to provide robust, rapidly deployed and erected solutions for; permanent bridges, temporary bridges, rural bridges, access bridges, footbridges and emergency and contingency bridging applications. Emergency and contingency bridge stocks, held in country, allow for immediate availability when needed. The C200™ can carry up to two lanes of traffic, with options for internal and external foot walks, and can be configured as a single or multiple span compact bridge. 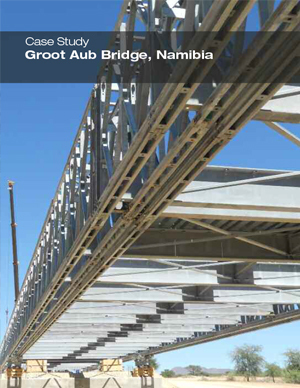 Multi-span solutions are supported on intermediate piers, meaning that there is no limitation to the length the C200™ can bridge; this makes it a versatile solution suited to a wide range of applications. Floating bridge solutions, using pontoon systems and bespoke connections, have also been achieved, as well as jetty applications for ferry and barge access. The C200™ can also be adapted to serve as pipe or utility support bridges suited to carrying, for example, oil, water, gas pipes, conveyors and other services and is the most adaptable and versatile solution in the Mabey range. For more information on how the C200™ suits your application, please contact us. The Compact 200™ (C200™) system is Mabey’s most widely used modular bridging product and is available for both permanent and temporary applications.